What do we mean when we say video content marketing? The idea is simple enough — using video content to achieve your marketing goals. For many businesses, this means creating a traditional advertisement and purchasing preroll space through one of the many ad networks out there. This may not be the best strategy, however, as the New York Times pointed out in a recent article on the viewing habits of people who watch video online. As it turns out, more than half of the videos that run through ad networks are never seen. They autoplay when someone hits a page, or the viewer simply clicks over to another tab while the ad runs. Not to mention all of the ads that are running on mobile devices, which are so easily ignored until the content the viewer was actually searching for starts to play. So what is the solution? At TeeFour Productions we specialize in video content marketing. This means creating a compelling video that delivers your message while providing information or entertainment to the viewer. Simply put, viewers are more receptive to your message if it comes wrapped in a package that they find useful. Video content marketing can take many forms. The most common is the informational or how-to video. This type of production serves a variety purposes. It establishes your company as an authority in your area, while helping potential customers to relate your business with the topic at hand. 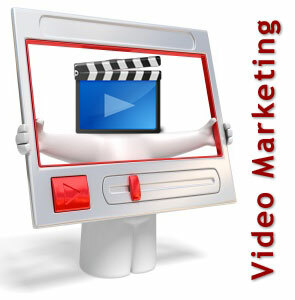 It also increases your visibility, as useful videos get many views, helping to boost your SEO. The other form of video content marketing is the entertaining video. These are the funny ones that go viral and get seen by millions. It’s kind of the holy grail of video content marketing, but its path is fraught with peril. If the joke on your video falls flat, it can easily become the target of derision. Even worse, if it is a smashing success, your message can get lost in the hoopla. At TeeFour Productions, we’re here to help you make the most of your video budget. We don’t do straight-up advertising videos. We create engaging and informative pieces that put your company in the best light, and help you to engage your customers. Get in touch with us to get started on developing your video content marketing strategy.